We start our vacation by boarding a domestic flight to Los Angeles and staying there overnight. Today we will fly from Los Angeles to Prague via Amsterdam. Overnight onboard. Meals and snacks will be served on the plane. 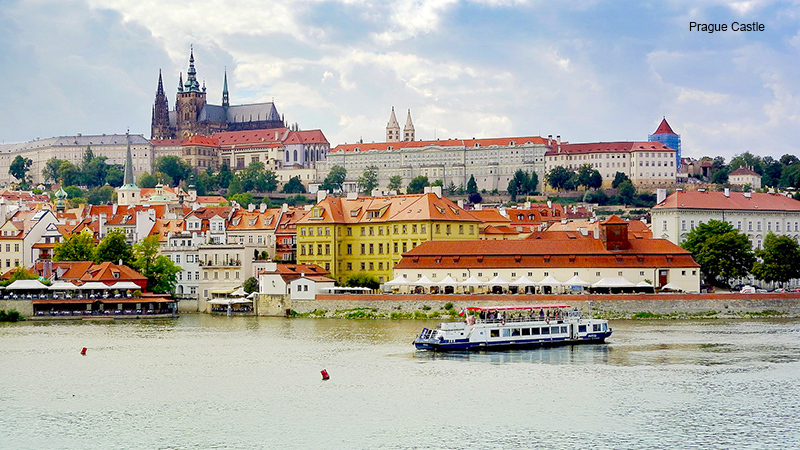 Prague, the capital city of the Czech Republic, is also known as the “City of a Hundred Spires”, a UNESCO monument, and one of the most beautiful cities in the world. Upon arrival at Václav Havel Airport Prague, we will be greeted by an Air & Sea Travel representative, and transfer to our hotel. Dinner will be served at the hotel. After breakfast, we will visit the Prague Castle, built in the 9th Century and a UNESCO World Heritage site. When entering the world’s largest castle, we will discover the secret of the monumental St. Vitus’ Cathedral. The 16th century Golden Lane, once the merchants’ quarter consisting of small town houses built into the castle walls is located inside the castle. It was here, at No. 22, that Franz Kafka (Jewish novelist) lived and wrote. Then we will visit the Old Royal Palace and St. George’s Basilica, which will give us a better understanding of the Czech Republic and its ancient history. Enjoy some live music and entertainment while eating lunch at a local Prague restaurant. In the afternoon, we will do a half day city tour, beginning with the Old Town Square. It is the most significant historic square in Prague located between Wenceslas Square and the medieval Charles Bridge adorned with its many Baroque figures. We will then have a photo stop at the Astronomical Clock Tower, the third-oldest astronomical clock in the world and the oldest one still working. We will pass by the National Theater, the alma mater of Czech opera and the national monument of Czech history and art. Our last stop will be The Dancing House, a postmodern building whose non-traditional design was controversial when it was built in the 1990’s. The house stands out among the Baroque, Gothic and Art Nouveau buildings for which Prague is famous. We will return to our hotel and enjoy our dinner. Today, we will get ready for our whole day excursion to the beautiful Bohemian Town of Český Krumlov, a UNESCO World Heritage Site. Upon arrival, we will enjoy the famous local cuisine Schweinshaxe (pork knuckle) for lunch. We will visit the Cesky Krumlov Castle; with its architectural design, cultural tradition, and expanse, ranks among the most important historic sites in the central European region. We will also have a stop at the Old Town Square, which has the first public fountain made out of stone in the 16th century. We will have time to stroll about the town. Then, we will transfer to our hotel and enjoy dinner at the hotel. After breakfast, we will transfer to Vienna, the capital and largest city of Austria, and one of the nine states of Austria. Its city center was designated a UNESCO World Heritage Site in 2001. Upon arrival, we will enjoy Viennese style pork schnitzel for lunch. After that, we will visit Hundertwasser Museum founded by Friedensreich Hundertwasser, one of the most important Austrian artists of the twentieth century. He was involved in many projects, including architecture and environmental protection. His vision was free architecture for all, without standards, specifications, and straight lines. 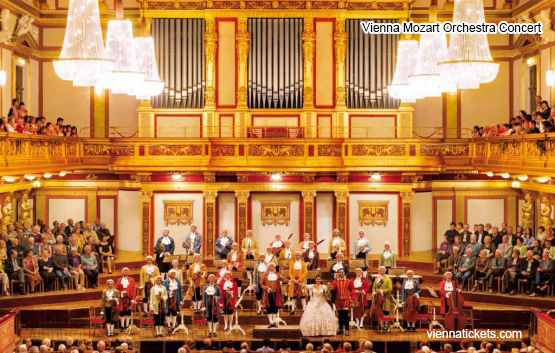 Step into the musical world of Mozart’s Vienna with a combination pass to Mozarthaus Vienna and the Haus der Musik. See the rooms where the remarkable composer lived and worked, now filled with historic exhibits and audio visual installations. After check-in and dinner at the hotel, we will journey back to the 18th century as we enjoy a Vienna Mozart Orchestra concert. The orchestra was founded in 1986 and devoted to Wolfgang Amadeus Mozart, a great composer of the Viennese classical period. He was widely recognized as one of the greatest composers in the history of Western music. After the concert, we will transfer back to our hotel and rest for the night. In the morning, we will have a half day city tour in Vienna. First we will pass by the Upper Belvedere Palace, Strauss Garden, and City Hall. We will end the tour with a visit to Schonbrunn Palace (forty-room tour), one of the most important cultural monuments in Austria. Classified as a listed monument, the whole ensemble, including the palace, the park with its numerous architectural elements, fountains and statues, and the zoo – the oldest of its kind in the world – was placed on the UNESCO World Cultural Heritage list in 1997. After enjoying Viennese style Ribs for lunch, we will head to Hinterbruhl, a town in the district of Mödling in the Austrian state of Lower Austria. It is home to the Seegrotte, a system of caves including Europe’s largest underground lake created in 1912 when a mine flooded the cave with water. Our visit to Seegrotte includes a boat ride. On our way to our hotel, we will see the Johann Strauss Monument, an iconic gold figure of Strauss playing the violin in Stadtpark. In the morning, we will visit Hofburg Palace. For centuries, the Vienna Hofburg was the center of the Habsburg Empire. Today the palace houses three museums which consists of historically authentic insights into the traditions and everyday life of the imperial court: The Imperial Apartments with their original furnishings and decorations; the Sisi Museum with its sensitive staging of the empress’ life; and the Imperial Silver Collection which contains a comprehensive range of tableware and other utensils used at the imperial court. In the afternoon, we will transfer to Bratislava, the capital and political, cultural and economic center of Slovakia. We will have a brief city tour upon arrival. We will see St. Martin’s Cathedral, the largest and finest, as well as one of the oldest churches in Bratislava, and the Bridge of the Slovak National Uprising. The Franciscan Church is the oldest existing religious building in the Old Town of Bratislava. The Jesuit Church was originally a protestant church from the 17th century on the Franciscan Square in the Old Town of Bratislava. After that, we will visit the Bratislava Castle, built in the 9th century and overlooks the capital. We can see the Danube River from here. Afterwards, we will transfer to our hotel and enjoy dinner at the hotel. After breakfast, we will transfer to Budapest, the capital and the largest city of Hungary, and one of the largest cities in the European Union. After lunch, we will enjoy our city tour of Budapest. We will see the Chain Bridge, a suspension bridge of the Danube River and Budapest; Elizabeth Bridge, the third newest bridge of Budapest, connecting Buda and Pest across the Danube River; and The Hungarian Parliament Building, the seat of the National Assembly of Hungary, a notable landmark of Hungary and a popular tourist destination in Budapest. After dinner, we will have a boat cruise around the Budapest City Center. This morning, we will continue our city tour in Budapest. Buda Castle is the historical castle and palace complex of the Hungarian kings in Budapest. It now houses the Hungarian National Gallery and The Budapest History Museum. 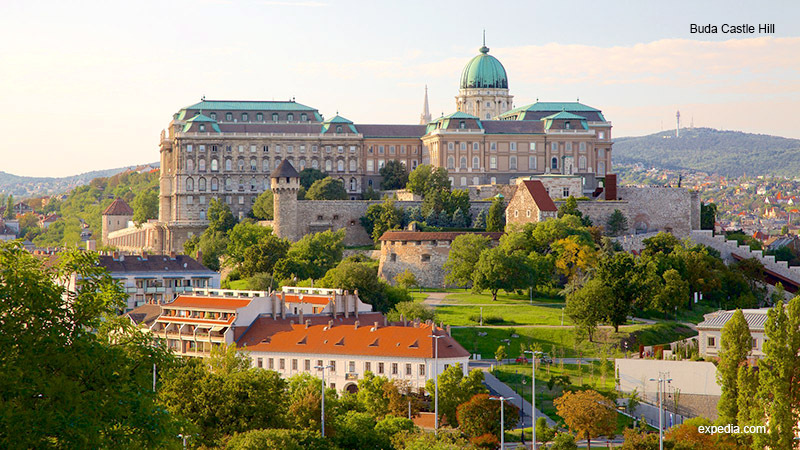 Buda Castle sits on the south tip of Castle Hill and was declared a UNESCO World Heritage Site in 1987. We will take a funicular to the Buda Castle Hill to visit the castle as well as the Fisherman’s Bastion, a top attraction in Budapest. Located on the top of the Buda Castle Hill, the lookout tower was built in the 19th century and is still the best place to see views of the city. After that, we will transfer to Domony, a village in Budapest. We will see a Horse Show at Lazar Park and enjoy our lunch here, which includes a delicately spiced Domonyvolgy roast goose leg. Set in a quiet location away from the city, this is a magical place. The horse carriage racing tracks, stables, mini zoo, jungle trails and rolling country side with the back drop of hills give us a chance to relax and breathe some fresh air from the farm. Then, we will return to Budapest. Today, we will transfer to Krakow, the second largest and one of the oldest cities in Poland. On the way to Krakow, we will pass Oravsky Podzamok, a village and municipality in Dolný Kubín District in the Zilina Region of northern Slovakia. We will enjoy our lunch here and also have a photo stop at the Orava Castle, the most beautiful and largest castle in Slovakia. In the afternoon, we will arrive at Krakow and check into our hotel. Today we will have a full day excursion to Wieliczka and Oswiecim, small towns of Krakow. We will have a tour in Wieliczka Salt Mine, which was once described as being ‘as remarkable as the Pyramids and more useful!’ Today it is a UNESCO World Cultural Heritage Site and one of the most famous attractions in the Kraków area. Guided tours of the mine commence 65m underground and lead through rooms, passages and great chambers to a depth of 135m. Major curiosities include the underground lake with its stunning colors and the beautiful St. Kinga’s Chapel. It is a remarkable underground ‘cathedral’ where every feature has been carved out of solid salt! There is even an underground post office made out of salt too! In the afternoon, we will tour the historical concentration camp, Auschwitz-Birkenau, designated a UNESCO World Heritage Site in 1979. It provides one of the most memorable lessons in Modern European History. The visit includes a film showing the camp’s liberation, the flower-strewn Death Wall, national memorials, the railway line and ramp, the remains of hundreds of barracks and details of the numbers of lives lost here, all of which are a moving testimony to the Nazi atrocities committed throughout occupied Europe. This will end our excursion to Wieliczka and Oswiecim and we will return to Krakow tonight. Today we will have a full-day sightseeing tour of Krakow. We’ll stop by and see Jagiellonian University and the Sukiennice Cloth Hall. We will also visit the Wawel Castle, which represents nearly all European architectural styles of medieval, renaissance and baroque periods. In 1978, it was listed under the UNESCO World Heritage sites. At Wawel Castle, we will see the cathedral, the Royal Tombs, the Sigismund Bell and the royal chambers. Next, we will see Mariacki Church, also called St. Mary’s Church, built in the 13th century using Polish gothic architecture. The church has a trumpet signal every hour from the top two towers, in remembrance of the trumpeteer who sacrifice himself while sounding the alarm before the Mongol attack of the city. In the afternoon, we will visit Schindler’s Factory, a new historical museum of Krakowwhere we can visit the exhibition “Krakow under Nazi Occupation 1939-1945”. It tells the story of Krakow and its citizens during World War II. The history of WWII, considered a tragedy that affected the entire world, is here to intersect with everyday life. This morning, we will transfer to Warsaw, the capital and largest city of Poland. Once we arrive in Warsaw, we will have a half day sightseeing tour. 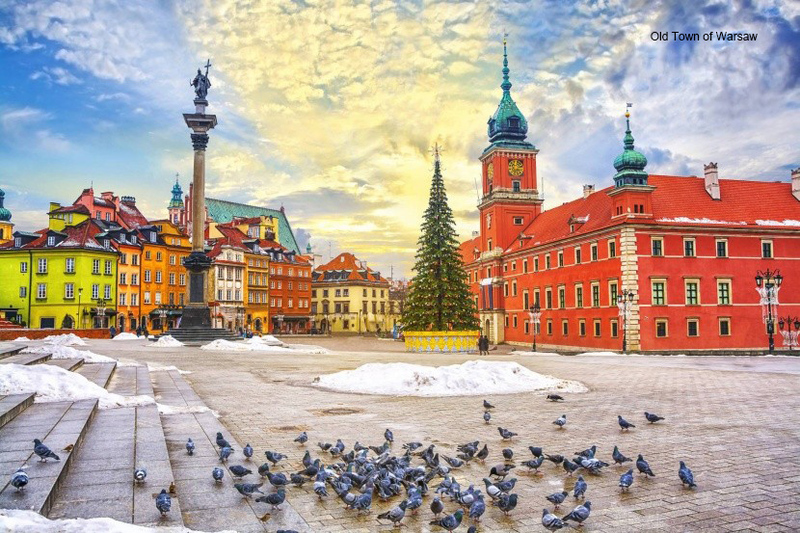 First, we will see the most gorgeous sites in the Old Town, the oldest part of Warsaw, and also designated a UNESCO World Heritage Site in 1980. The Royal Castle was once home to the Polish royal family and seat of the Polish parliament; nowadays it is a castle museum to let people understand the history of Poland. Lazienki Park, also called Royal Baths Park, is one of the most beautiful parks in Warsaw’s city center. We will stop by the Palace on the Isle, also call the palace on water, and pass by the Warsaw Ghetto, the largest Jewish district occupied by Germany in Warsaw during World War II. There were at least 300,000 Jewish people killed during World War II. Tonight, we will have dinner at our hotel. In the morning, we will head for Wilanów Palace and Park, one of Poland’s most important monuments. In the early 17th century, this Baroque palace and garden were turned into the summer royal residence. After the war it became a museum with a rich collection of Polish portraits, original furniture and interior decor. Then, we will visit the Frederic Chopin Museum, established in 1954 and dedicated to Polish composer Frédéric Chopin. We can take some time to explore this city on our own in this afternoon. We will transfer to the airport after breakfast and take a flight to Los Angeles. We will stay overnight in Los Angeles. Today, we will take a flight back to Honolulu, taking home lasting memories of this magnificent trip. CHECK OR CASH PAYMENT ONLY. A deposit of $1,500 per person is required at the time of application. The balance is due on May 25, 2019. In the event balance payment is not made within the required time period, Air and Sea Travel Center reserves the right to cancel reservations and charge a service fee for cancellation. ** May 26 – June 25, 2019, $1,500 deposit per person is non-refundable. ** From July 26, 2019 to departure or withdrawing during the tour shall be regarded as willingly giving up all rights concerned, 100% of total price, and request for other services as a substitute shall not be accepted.